• Children and youth in the annex, rooms 3 and 4. • Adult class in the fellowship hall, “Snacks With Susan,” is led by Susan and Daryl Pichoff. Discussion focuses on “When Christians Get It Wrong” by Adam Hamilton. 11:15 Fellowship — Please join us for conversation and light refreshments in the fellowship hall. ♦ Flowers are provided today by Pastor Keith and Lisa Cardwell in celebration of the birthday of Cathy Rogers. SPRING FORWARD  Daylight-saving time starts March 10 at 2 a.m. Dont forget to set your clocks ahead one hour Saturday night. Saturday, March 16 — Celebration service for the life of Ronnie Hope, 1 p.m. in the sanctuary, followed by a reception in the fellowship hall with assorted finger foods. Sunday, March 17 — We will collect our “two cents a meal” offering. This monthly offering will go toward alleviating hunger in local schools. Sunday, March 17 — Session members will meet after both services to welcome those who God is leading to become members of our church. Thursday, March 21 — Community Lenten lunch at Foley United Methodist Church, 11:30 a.m.
Thursday, March 21 — Butterfly Girls and Guys’ Night Out will meet at Pirate’s Cantina Mexican Grill on U.S. Highway 98 in Lillian. Please contact Mary McNair if you plan to attend, even if it is a “maybe,” and/or for carpooling. Thursdays at Foley United Methodist Church • 11:30 a.m.
Community Lenten lunches will continue on Thursdays through April 11 at Foley United Methodist Church, 915 N. Pine St. Lunch will be served beginning at 11:30 and a short program will begin shortly after noon with music, prayer and a short devotional. All are welcome to attend. A $5 donation for lunch is suggested. Topic for March 14 is “Salvation,” with the Rev. Jonathan Wallace from First Presbyterian Church of Foley speaking. 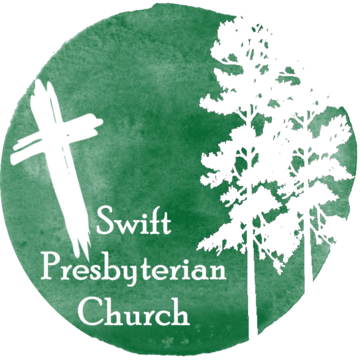 Mark your calendars for Tuesday, March 19, at 10:30 a.m.
Foley First Presbyterian Women will be visiting to hear about the history of Swift Church, presented by Debbie Schmidt. Worship will be held in the chapel and a box lunch from Honeybaked Ham will be served in the fellowship hall. A drive to Swift School and Swift-Coles Historic Home in Bon Secour for a guided tour will follow. Everyone is welcome. Cost is $20 for the tour and box lunch. More information is in the literature rack at the back of the church, or please contact Pastor Jody Beth for reservations. We thank those who have signed up to help supply sweet and healthful snacks during fellowship time. If you are able to participate in any way, please sign up on the sheet located in the fellowship hall or call Tina Sprouse at (251) 510-5444. Reimbursement for expenses is available. • Judy’s MRI reports were all good. • Shirley Hughes is recovering at home and thanks everyone for the cards. • Deanna (Carneal) got the full-time job she wanted and will be visiting here in a couple of weeks.